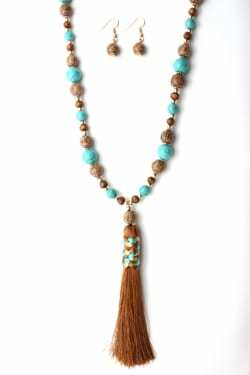 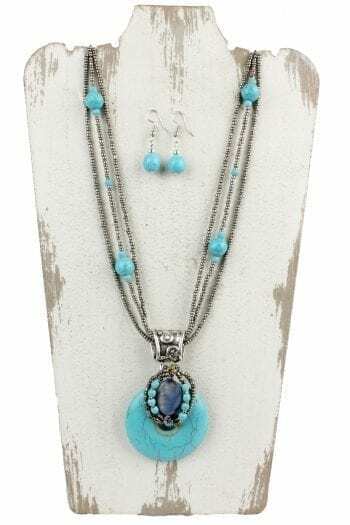 Turquoise Circle Chain Necklace measures 16″ with a 3″ extender. 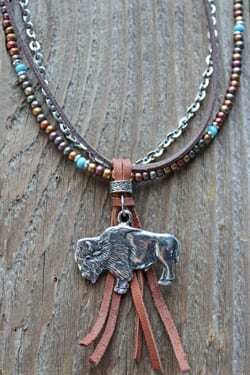 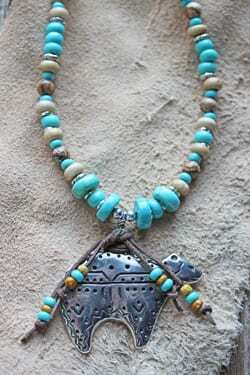 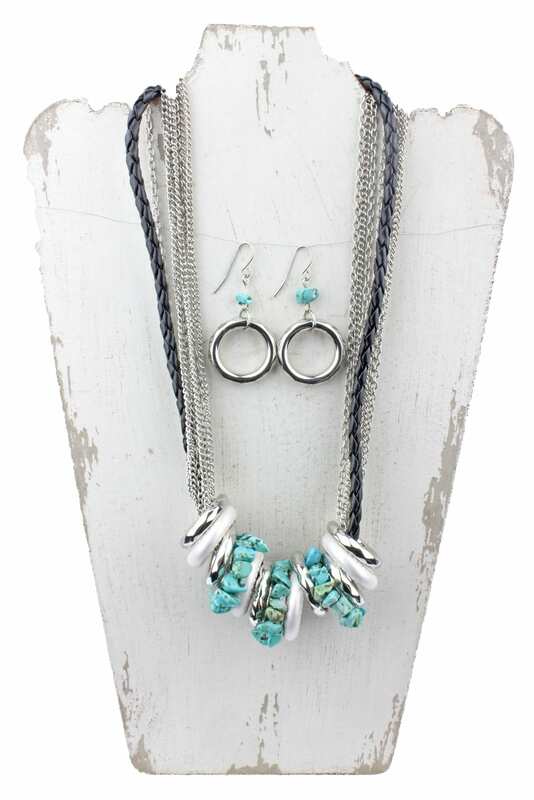 Silver, white, and turquoise circles go around 8 chains and one leather braided strand. 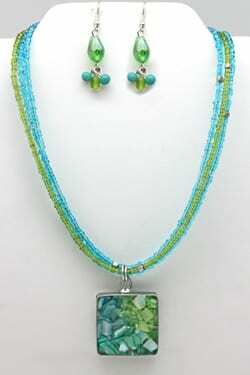 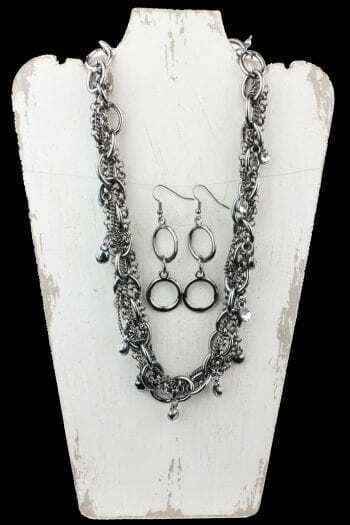 Included in this set are matching earrings.